Many plastic ID cards either do not have barcodes, or the printed barcode is hard to scan quickly and accurately. ID cards with a magnetic stripe can be swiped but swiping can be too time-consuming in volume. The best way to make an ID scannable is to create a digital version with a barcode. The digital ID card will reside in the phone and is quick and easy to scan. 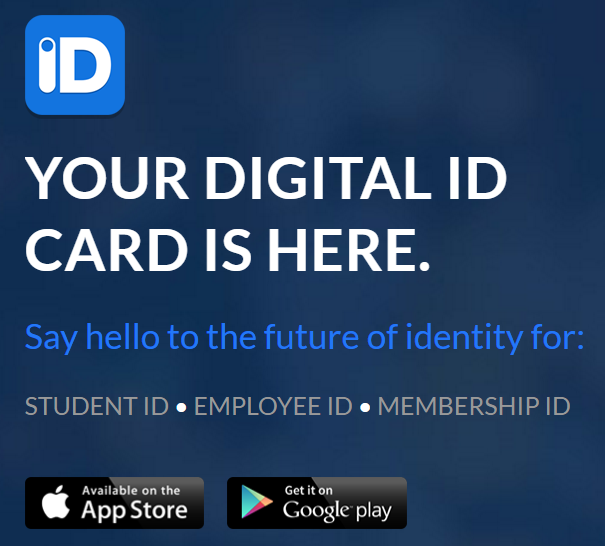 One provider of digital ID cards is a mobile app called ID123. The app was created to make identity verification simple and inexpensive for schools, universities, businesses, and membership organizations. 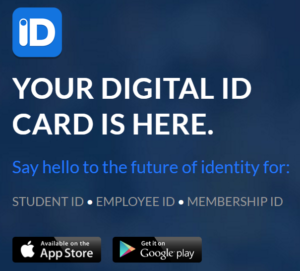 It enables students, members, and employees to issue their own digital ID. They can simply enter information from their current plastic ID cards into the ID123 app on their mobile devices. The app also allows its users to take their own ID picture with the built-in camera on their phones. Each digital ID displays a barcode that can be scanned using a 2D barcode scanner or a barcode scanner app, such as codeREADr. Account administrators would create a database of students, employees or members on codeREADr.com in order to scan and validate any issued digital ID cards. Administrators then authorize employees, teachers, aides, etc.to sign into the codeREADr app and scan the digital (or plastic) ID. Alternatively, for unattended scanning, the administrators can place devices in specific locations and put the app into “kiosk mode” which uses the front camera. The devices used for scanning can be personal devices or business-owned devices specifically setup to scan ID cards. School, organizations and employers can then track attendance, control access and track activities – such as required presence for maintenance crews, security guards and other field service workers. Digital ID cards have many advantages over plastic ID cards. To learn more about ID123, you can visit the ID123 website and download the free app on the App Store and Google Play.